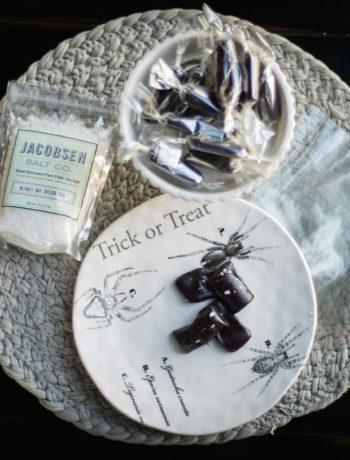 ‘Tis the season for spreading the holiday spirit and the best way to spread festive fun is with edible gifts. 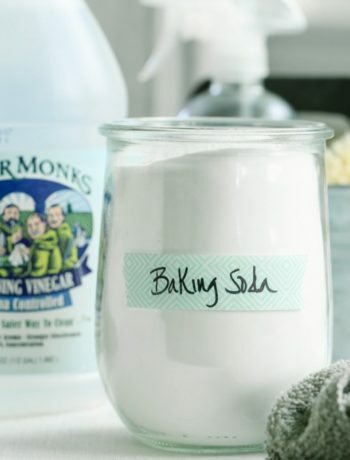 Here are some great gift ideas that are easy-to-make and enjoyable to eat. 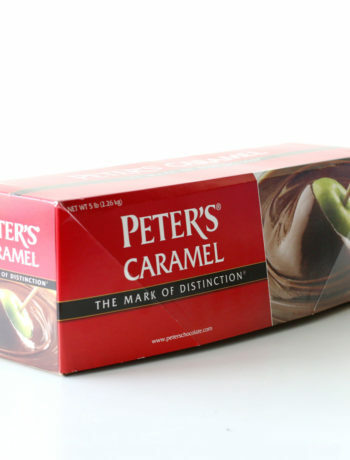 A classic edible gift idea with a bit of a unique spin is the apple spice caramel or black licorice caramel. 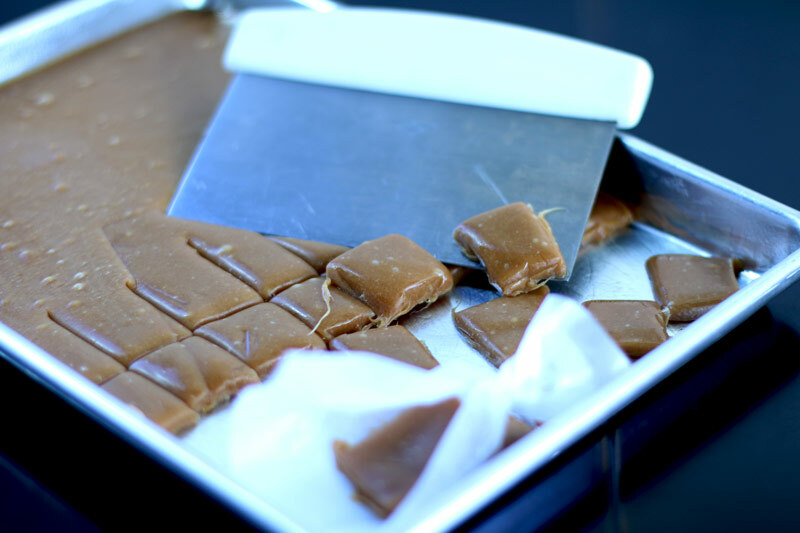 Spray a 1/4 sized cookie sheet and pour the caramel mixture evenly across the cookie sheet. Once cooled, cut with a bench scraper into squares. We used this bench scraper to cut even pieces. The bench scraper also made it very easy to scoop the caramels up off the cookie sheet without ruining their shape. 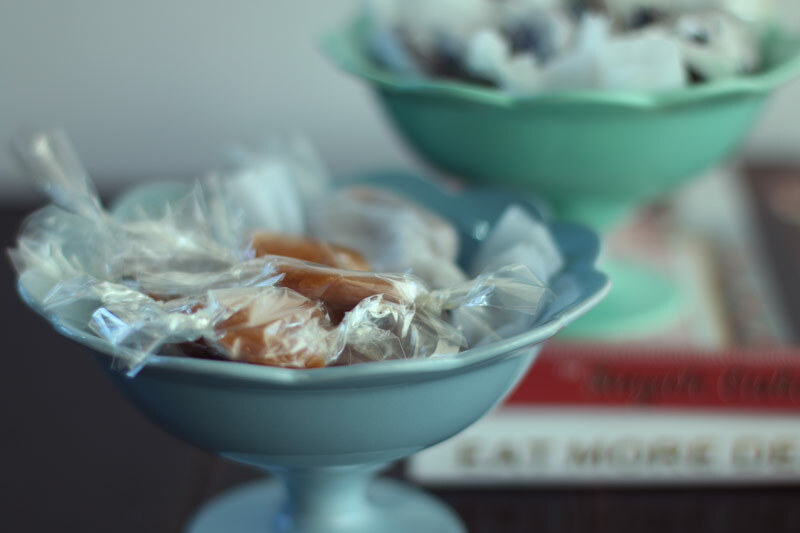 We wrapped our caramels in 5×5 cellophane squares and confectionery twisting wax papers that gave our flavored caramels a traditional look. 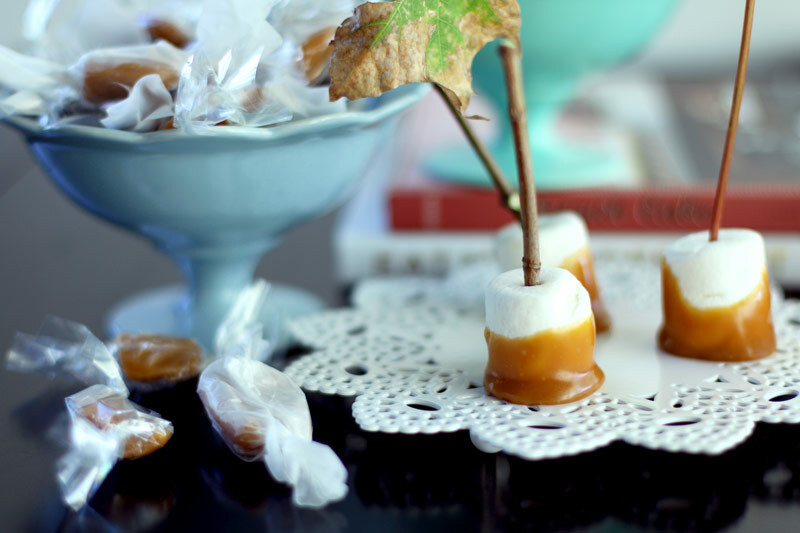 Another fun gift idea is a caramel dipped marshmallow. They’re very simple to make and everyone enjoys the gooey goodness of the marshmallow covered in the smoothness of caramel. 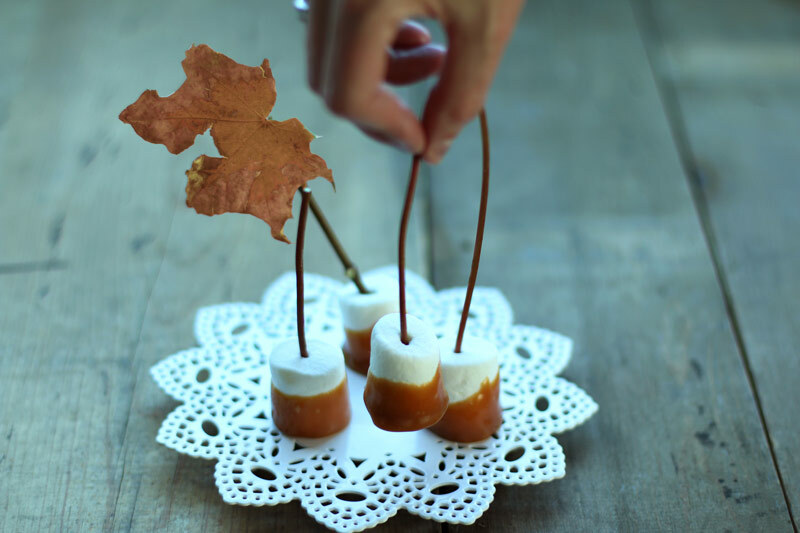 We wanted that fall look so we used actual sticks for our dipped marshmallows, however, you can use bamboo skewers as a replacement to the sticks. Together they made great gifts that everyone loved. 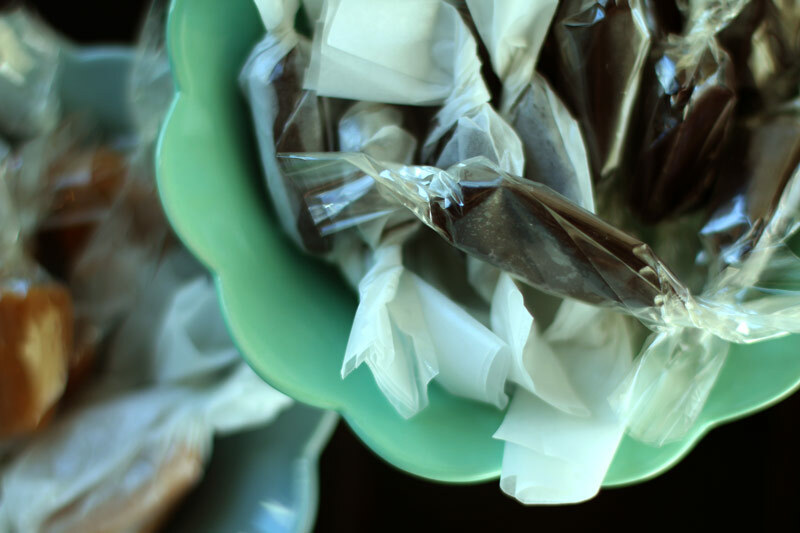 When packaging the yummy gifts we recommend using cellophane bags to keep your treats looking delectable and fresh.